A major shift has been occurring in the world of fitness as people everywhere are moving past simply working out and have begun training. Everyone is chasing goals these days, whether it be a certain standard of living, a specific job, or a certain physique, which has led to fitness transitioning into being not just exercise, but a sport. And one of the most common forms of “fitness sports” taking over the scene has undoubtedly been obstacle course training. Proper training for an obstacle course race will not only have you ready to perform well out on course during your race, but it’ll also have you in the best shape of your life! 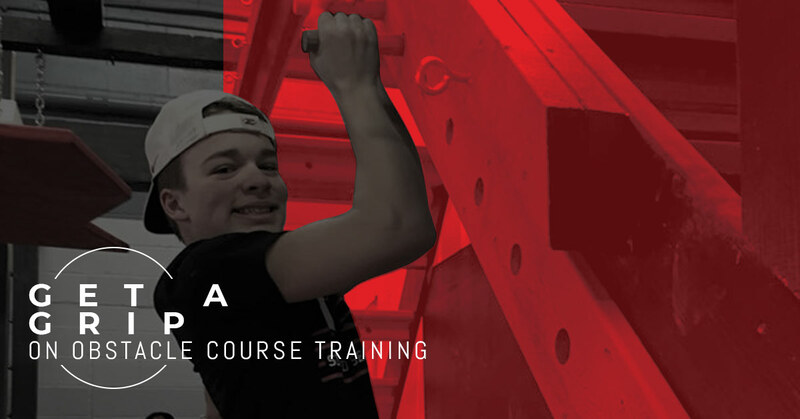 Here at Five Star Ninja Warrior, we offer incredible obstacle course training in Minneapolis and St. Paul to train you for your next competition, whether it be a Spartan Race, Warrior Dash, Tough Mudder, Ninja Warrior Tournament, or if you just simply enjoy doing it for the fun and fitness! For those of you who don’t call Minnesota home, though, we can still share some of our knowledge with you on how to properly approach training for your first, or even 30th, obstacle course race. From the very start of the race and transitioning between each obstacle, you will be running, so working on your quick sprints is essential! A great deal of obstacle course races take place in hilly, mountainous areas, so be prepared to handle ascending and descending some technical terrain. We recommend a good challenging hike to prepare. Many obstacles will put your grip and pull strength as well as your endurance to the test. From our experience, lack of training in this area leads to the majority of failures to complete obstacle courses. The odds are you will likely encounter an obstacle or two that requires you to carry heavy, awkwardly-shaped items over various distances and oftentimes combined with steep terrain. While this list is certainly not all-inclusive, as obstacle courses are finding new challenges to implement with each passing year of races, focusing your obstacle course training around these skills and challenges are the major foundation behind a successful race. Obstacle course races take you out of your comfort zone by design. There is no avoiding it. You will get wet. You will get muddy. You will get scraped up, stung, knocked around, and beat up. Uncomfortable is putting it lightly in actuality. You can physically and mentally prepare for this endeavor by incorporating many of the elements into your obstacle course training. Get outside in the heat, get dirty, and push yourself to the limit. To best train for an obstacle course race, you also need to get your technique for each obstacle down to a science.This requires a great deal of practice in an obstacle course gym, but learning the correct techniques will save you time and energy on race day as well as reduce your risk of injury. This goes without saying most likely, but eating well, getting lots of sleep, and staying active is imperative for avoiding making obstacle course training any more difficult on yourself. Often underestimated is the choice of shoe for obstacle course races. In many cases where two people are equally trained for a course, a quality lightweight and cleat-like climbing shoe can be the difference between winning and losing.